This year, EQ Investors will be taking part in Financial Planning Week, the national initiative led by the Chartered Institute for Securities and Investment (CISI). The aim of Financial Planning Week is to encourage individuals to take control of their finances through free financial planning sessions. Throughout the week will be offering one-hour, one-to-one sessions in our London office, near Monument. These initial consultations are designed to provide a helping hand in achieving financial well-being and life goal planning. Our financial planners will also be able to discuss key issues such as retirement planning, inheritance tax and how to start investing. You can book your free appointment today here. 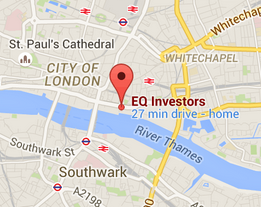 Alternatively email enquiries@eqinvestors.co.uk or call 020 7488 7171.